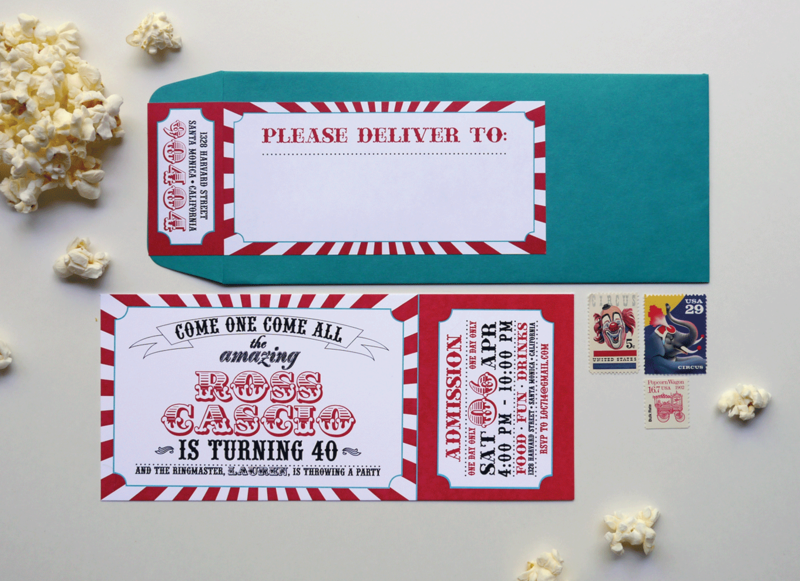 A fun vintage circus invitation created for a 40th Birthday. 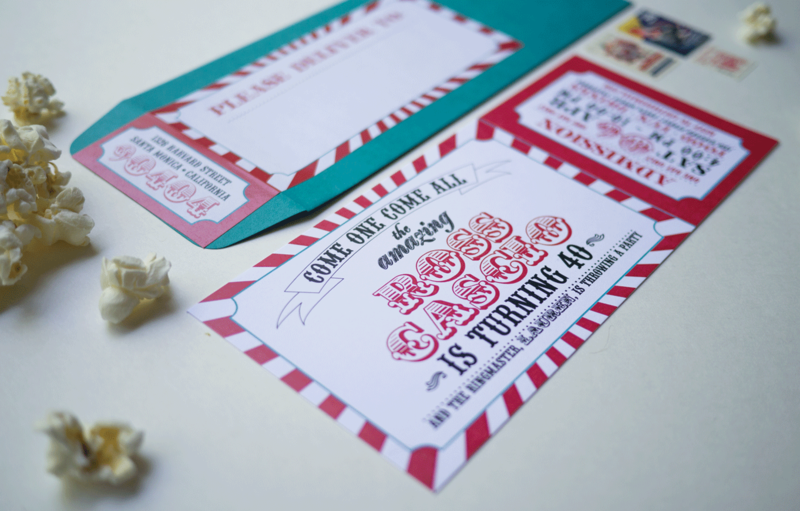 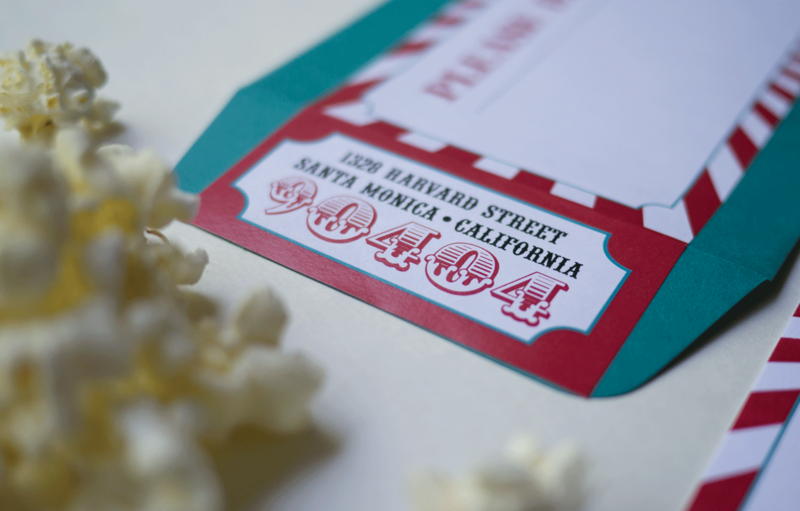 The playful invitation was a reflection of the clients young at heart attitude. 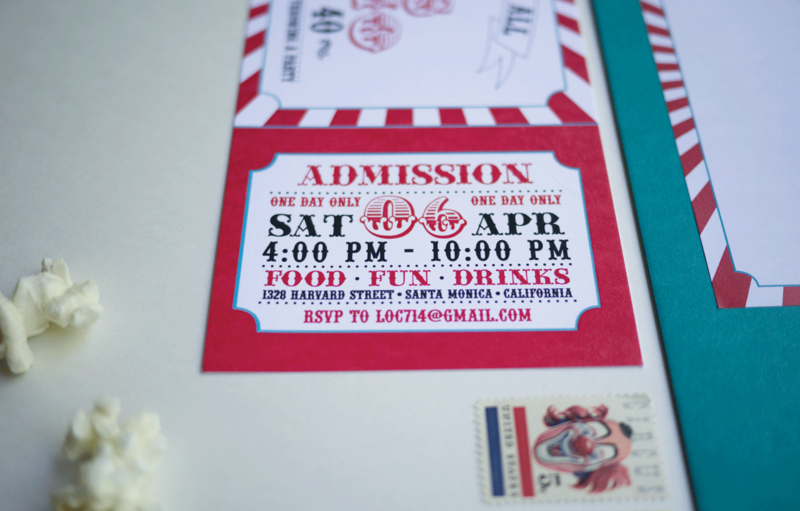 Flat printed on smooth white card stock with a teal envelope and custom wrap around label.